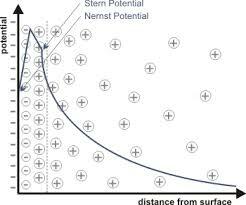 Zeta Potential: is a scientific term for electrokinetic potential in colloidal dispersions. It is usually denoted using the Greek letter zeta. The usual units are volts (V) or millivolts. There are currently no items matching "Zeta Potential".